Thank you to everyone who commented, liked and shared with others. It’s much appreciated. Today we had our first full INSET day so a full day in work. The usual round of meetings. Strangely I may be 3000 miles away across the globe, but many of the issues and discussions are very similar to those in the UK. The principal difference being the size of school. Tonight we traveled to Lake Victoria – to Tunza Lodge where we had a meal and a drink watching the sun going down. The Lake is so large it seems to be a sea. It even had waves. It was a nice way to end the day. So after forever (it seems) my family have purchased dongles in the city of Mwanza to be used in Tanzania. This will enable me to access social networks like I have done when I lived in the UK. However it will also enable me to start blogging which I have been interested in since my dad started his blog. The internet can also enable me to talk to family and friends which I have left in the UK. This is good because it allows me to not lose contact. So hopefully the internet will stay reliable so I can blog more. But until then, Bye. Great post. Well worth reading. As we leave Lincoln I reflect that as awesome as the change we are about to make is; it is after all just another move, something I have done several times before. I was not born here, but moved to Lincoln just before my 7th Birthday. At the time it was probably the most traumatic change, uprooting and moving half way across the country, settling into a new school, half way through the year, with a South East accent ‘Up North’. Nonetheless Lincoln became my home and though I lived here for less than 12 years I feel it is my home from home; partly due to the fact mum still lives in the house. If they could remember what they were doing a year ago. Eight out of nine questions were reported by men, as having difficulties in remembering and this figure was higher than with women. Nearly half of the participants reported minor memory problems. Severe memory issues were reported by 1.2% of women and 1.6% by men. What was the most difficult concept to remember? Remembering names and dates and this increased with age too. Probably, no surprises with any of those statistics. What might prove interesting is the perceived causes given for the difference in men and women’s issues with memory impairment (SMI). Poor perceived global health was given as a perceived reason, symptoms of anxiety and depression and low education. Minor subjective memory problems were very common, and SMI was clearly associated with health measures and with level of education. The relatively strong association between SMI and symptoms of depression might be of clinical interest. The reason for men reporting more memory problems than women remains unexplained. What do you think the reasons might be? I subscribe to the excellent: psyblog. I’ve flagged this up before and I strongly encourage you to subscribe if you’re fascinated by psychology and how our amazing mind works – for us as much as against us at times! The report found that no people detected that their pupil size had changed; yet, the evidence clearly showed that they had been manipulated, changing in size depending upon what image they were shown. A constriction of the pupil appears to indicate, among other things, disgust and disapproval and conversely a dilution indicates approval. Interestingly though, shock causes a widening of the pupils and will be followed by a narrowing. The narrowing is a protection mechanism, literally preventing as much light from the object entering our eyes. In effect we are protecting ourselves from the experience. There is a great deal in their article and others on the eyes. 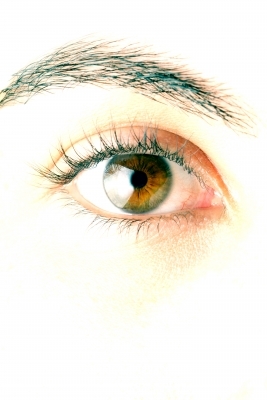 Many people say our eyes are ‘the window to the soul’. It is something that I agree with too. Perhaps it might be worth while ‘keeping an eye’ on what you expose your mind to. Hedonistic habituation will lead to an ever-increasing need for greater stimulation.